If there was a NES video game made in the late ’80s about the Big Four of thrash metal, this is what we dreamed up the game intro would be. Since this game doesn’t really exist, we broke all rules and put in cameos of some of our favorite retro game characters in as well! Can you identify them all? 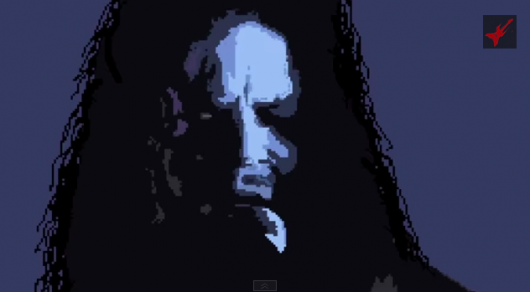 Which 8-bit music video was your favorite: Metallica, Megadeth, Slayer or Anthrax? Chiptune audio and animation by Filthy Frackers. In collaboration with Loudwire.com. This was a fun venture down memory lane for sure! The way they rendered Metallica’s “One” video is just amazing and amusing at the same time. This is great stuff, so definitely check it out and pay close attention near the end to spot the insert of those retro gaming characters. Of note, this month marks the 26th anniversary of the release of the video for “One,” from Metallica’s … And Justice For All album. Check out our thrash metal column Thrashback Thursday from last week to revisit the song and the video for its anniversary.